If you want your content to spread like wildfire, you need to know how to go about it. Often times, it can be luck or a hot topic which is trending for the first day or so or even up to a couple of weeks. This usually involves news stories or either entertaining or political videos. But unless you’re a news outlet or a huge YouTube star, getting content to go viral is more challenging. Primarily because you don’t have millions of subscribers already who are going to immediately see your stuff and share it with millions of others. 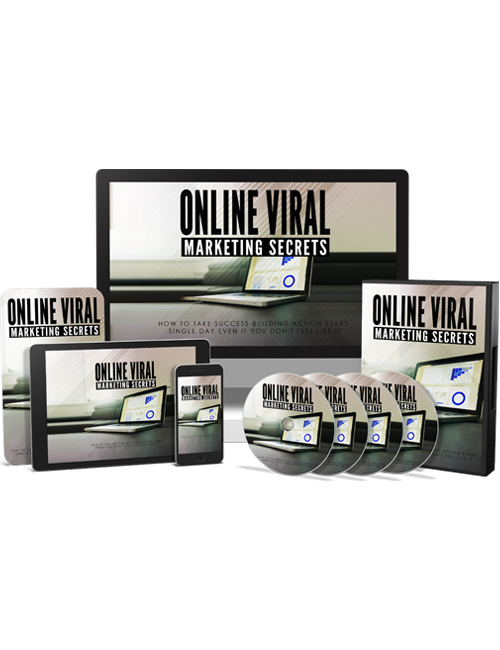 In this video course which complements the Online Viral Marketing Secrets ebook, you will discover various tips and strategies to help get your content discovered and shared. There are so many video-sharing and content-sharing platforms out there nowadays. And with hundreds of millions of website owners, bloggers and video-creators out there, and with many who have a monster number of subscribers and followers, getting your content out there becomes easier. When content goes viral, the creator can see a surge in brand growth and popularity along with many new followers and customers. That means more views, more sales, and more revenue. You’ll be shown the right way in getting your content out there. Rather than trying to figure it out for yourself, this course can get you moving quicker. Grab it now.